Catechesis of the Good Shepherd is a method or approach to the spiritual and religious formation of children—not a program. It originated in 1954 in Rome, Italy. Sofia Cavelletti, a reputable Hebrew and scripture scholar, known for her expertise in Jewish-Catholic relations and liturgy, was asked by her neighbor to give some religious instruction to her 7 year old son. In collaboration with Gianna Gobbi, she drew on Montessori principles to undertake this task. Maria Montesorri was an Italian medical doctor who was given what was considered the impossible responsibility of overseeing the welfare of poor children of factory workers in the early 1900’s. Their living conditions and health were near destitute. Over time, she developed an approach to education that produced remarkable results, capturing world-wide attention. Montessori methods have had a tremendous influence on the education of children ever since as evidenced by the way that Montesorri schools have thrived in many parts of the world. Cavelletti’s aforementioned background can be seen to have had an influence in the way Montessori principles have been adapted to catechesis. For example, the Word of God is central in Catechesis of the Good Shepherd and the entire curriculum, directly or indirectly, is geared to leading children to an experience of prayer and preparing them for their participation in communal worship. This reflects Cavelletti’s work in scripture and liturgy. Moreover, Catechesis of the Good Shepherd relies on the “rabbinical method”—a way of turning a question back onto the questioner as a means of calling forth deeper reflection in the listener without actually giving an answer. There are many instances of this in the gospels. 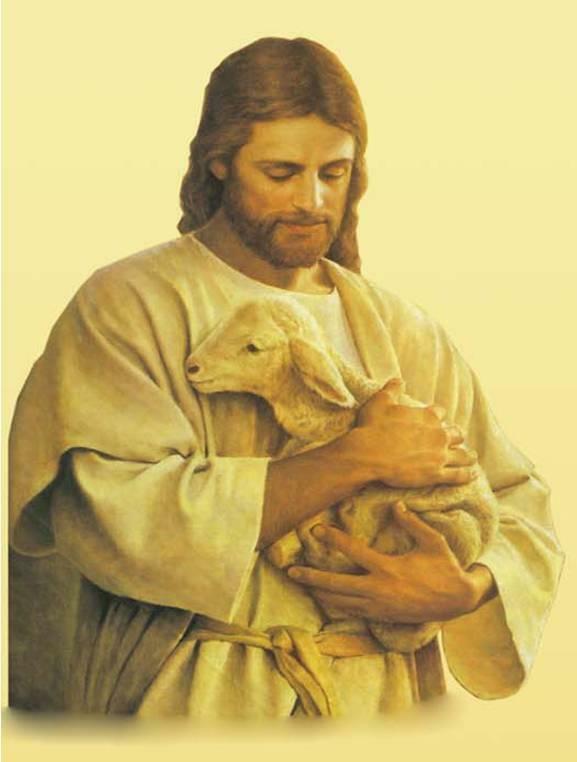 When Jesus is confronted about his disciples’ failure to observe the requirements of the Law on the Sabbath, Jesus replies, “Is it better to do good on the Sabbath or evil?” (Mk 3:4) Faced with grumblings from the scribes and Pharisees over his frequent association with sinners, Jesus asks, “What man among you having a hundred sheep and losing one of them would not leave the ninety-nine in the desert and go after the lost one until he finds it?” (Lk 15:4) This open-ended method of questioning is more apt to retain the sense of mystery that is necessarily a part of any genuine reflection on the truths of faith. Thus, what Catechesis of the Good Shepherd proposes is to respond to the felt desire of children to draw closer to God in their own way: “Help me do it by myself.” (Sofia Cavelletti, The Good Shepherd and the Child: A Joyful Journey, p. 23) In other words, it acknowledges and respects the relationship the child already has with God and encourages others to avoid becoming an obstacle in that relationship. Another hallmark of Catechesis of the Good Shepherd is the carefully prepared environment called the “atrium.” (In the plural, it is “atria.”) In the dictionary, an atrium is the hall or court in front of the entrance to ancient temples. It is also the place where catechumens were instructed in the faith before becoming full members of the community in early Christianity. In similar fashion, the atrium prepares for the child’s entrance into the Church. As such, the atrium is not referred to as a classroom but as a special place where prayer and learning can be experienced. The atrium contains manipulative materials that correspond to objects from church (e.g. baptismal font, altar and paschal candle). However, these are made smaller than child size and closer to miniature for a specific reason: they are not for pretend or play. They are there to make the lessons the child experiences more concrete. Presentations on geography, scripture, or practical life skills are also accompanied by manipulative materials. For historical narratives (e.g. the visitation or the presentation in the temple, etc.) three-dimensional figures are used while the parables (e.g. mustard seed or pearl of great price) use two-dimensional figures. Through manipulation of the materials with their hands, the children are able to make the lessons part of their real, internal knowledge. All scriptural lessons are accompanied by a booklet with related verses taken from the lectionary so the child hears the Word of God just as it is proclaimed at Mass. To foster the child’s connection with the wider community further, the presentation of materials follows a cycle based on the liturgical calendar of the Church year. After the lessons have been presented, the materials remain available on shelves for the children to work with on their own. Unquestionably, one of the most distinctive and endearing features of Catechesis of the Good Shepherd is the joy the children experience as they gather with others around the prayer table or as they become absorbed in their work in the atrium. Sunday 5:00 - 6:45 p.m.